What assurance do I have that I will receive a high quality of care that meets national standards? 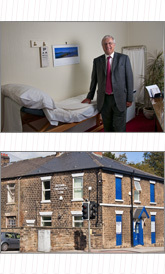 Dr McKenzie has nearly 30 years experience in private practice and the NHS. In addition he is registered with the Care Quality Commission and has passed the National Care Standards Inspection for Providers of Healthcare. The inspection is very rigorous. How do I make an enquiry about whether you can help me with me problem? Dr McKenzie has a wide experience of problems in medicine. If you are anxious about something then he can help answer your questions. If Dr McKenzie is unable to help with your particular problem then he will be able to refer you to a suitably qualified specialist in either the NHS or private hospital. Can I have a test without a consultation and be sent the results? Dr McKenzie will need to see you to arrange the test. There are a number of tests and investigations which need an explanation beforehand, therefore there will usually be a consultation fee. There will be a sample collection fee of £30 for blood tests. Dr McKenzie will provide you with the test and an explanation by post. On occasion Dr McKenzie may recommend a further consultation. This will usually occur if further action is required or an explanation is complicated and there may well be questions you will need to have answered. If I have tests, how soon will the results be available? You will be notified of the results as soon as we have received them from the laboratory. Usually this is within 48 hours. Are you able to phone or text me with the test results? Dr McKenzie prefers to write a letter and report enclosing your results. If the tests are of a sensitive or complicated nature then this may require a further consultation in order that you can understand the implications of the results and be best advised as to what to do next. If you are unable to attend then Dr McKenzie will be able to assist you with further information. Are you able to carry out other tests and services not listed? 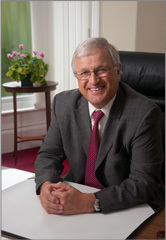 Dr McKenzie can arrange most specialised tests, investigations and referrals. Normally you would need to have a standard GP consultation (£55.00) after which Dr McKenzie can refer you to the most appropriate clinic or specialist. In some cases Dr McKenzie may be able to satisfactorily resolve your concerns and medical problems without the need for further specialist referral. What travel vaccinations will I need and how long before travel must I start planning? It is advisable to start planning travel vaccinations at least 12 weeks before you leave. Accelerated regimes can be done in as little as 4-6 weeks and even if you are travelling in the near future it may be better to have some vaccinations rather than have none at all. A travel assessment will be carried out, together with a list of vaccinations that you will need for the countries you are travelling to. What is your position on single and combined MMR vaccinations? Dr McKenzie is of the opinion that the combined MMR is safe and efficacious. Dr McKenzie used to provide single vaccines. He is now no longer able to do so. Can I be sure that information about me will be confidential? Your consultation will be in an enclosed room. The information recorded is held in secure systems. We will not divulge any medical or personal information about you to any other person without your specific permission. Dr McKenzie endeavours to make his pricing as transparent as possible. If you have any particular questions please do not hesitate to contact us. How can I pay for the medical services? I do not feel ill but would like to be sure that I do not have any problems which should be treated becoming obvious. What is your advice on health screening? General health screening may not help you unless you belong to a high risk group. However, there are times when it may be reassuring for you to know that you are clear from certain problems. It can be very helpful to have blood pressure and cholesterol screening. When raised these conditions may predispose you to premature death or disability from stroke or heart attack. Other tests can detect stress, depression, diabetes and thyroid disease. Prostate screening is recommended in older men even if there are few or no urinary symptoms. I would like to give feedback regarding your website. Where should I direct my comments or suggestions? 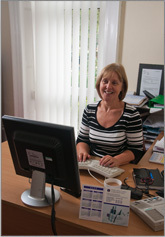 Dr McKenzie would value your opinion and is constantly looking for better ways to improve the service. You can write to Dr McKenzie or send comments via email to mckenziea@btconnect.com. Can I be referred to the Heath Service if I see a GP privately? You are entitled National Health Service facilities. You can be referred to the NHS for admissions, x-rays or blood tests. No. The practice works on a fee-for-service basis and you are charged for consultations, investigations and other services as and when they are accessed. Can I receive my medication from the practice on the NHS? No. If you see a doctor privately he is not allowed to supply you with medication on the National Health Service even if you have an exemption. Are prescriptions usually very expensive? Usually not. Dr McKenzie is aware that prescriptions can be expensive and does everything possible to reduce the cost. Sometimes patients prefer to have the more expensive proprietary medication. Dr McKenzie will take your views into account.